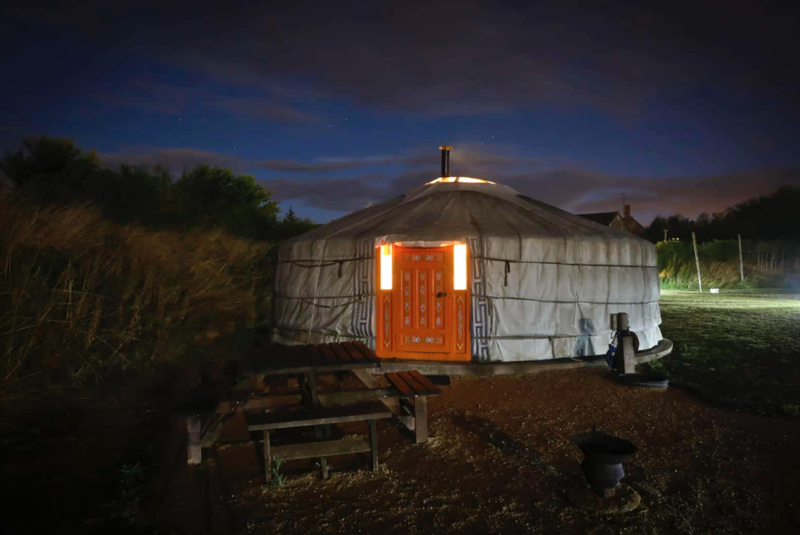 If you’ve always fancied camping without the hassle of using your trainer to hammer in tent pegs, or the stress of rolling a wet tent into an incredibly tiny bag, it’s time to explore the possibility of a Yurt break. Traditionally, Yurts were used by ‘Nomads’ (is it even OK to say that?) and were constructed with a collapsible timber frame, topped with felt or animal skins, although it’s highly unlikely any of the British yurts have Simba on the roof. 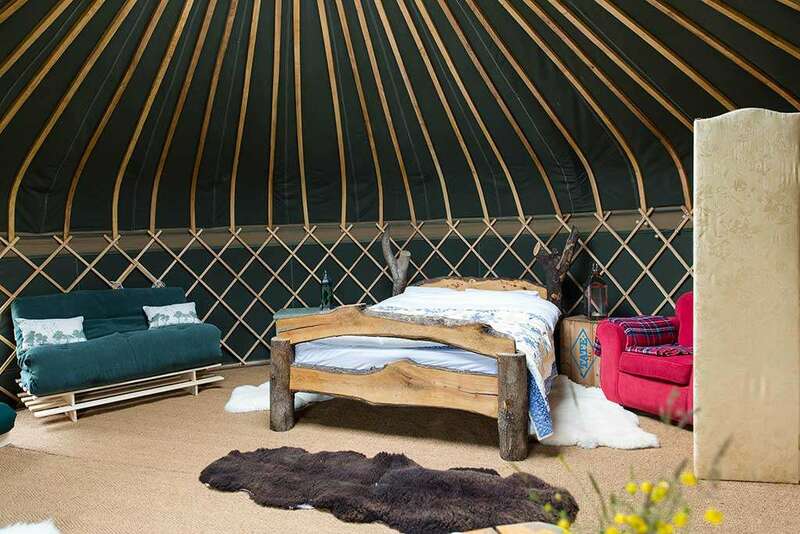 The UK has some pretty awesome places to get your Yurt on, so why not treat your girl to a weekend away in one of these romantic beauties? Maybe some star gazing followed by a round of shag, marry and avoid? Or just get fucked and pass out. Take that however you will…. 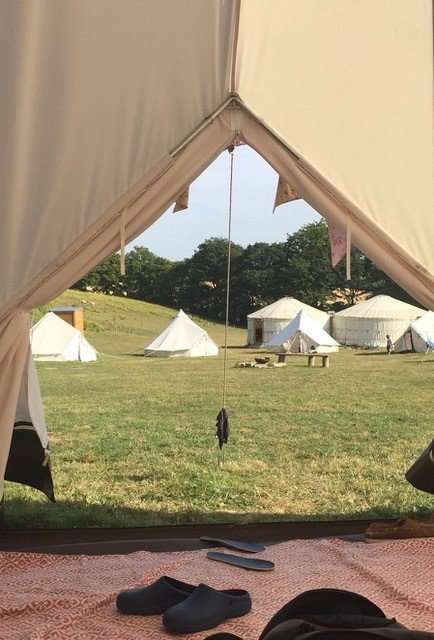 We’ve got a few little suggestions right here so you can book in for spring or summer breaks, it doesn’t Yurt to be organised! However, it does to use Yurt as a pun. Soz about that. 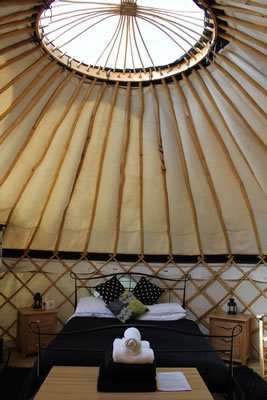 Just note that prices really depend on many different factors, including chosen yurt, time of year and days. It’s best to check out directly with the company to get a good grasp at costs, but we have some general prices to give some kind of guide. Thank you, next. Price: A two night weekend is priced at 350 for two people, or stay for two nights midweek for £220. Surrey Hill Yurts describe themselves as ‘eco – friendly’ and ‘luxury’, set within 15 acres of working farm, the yurts come fully equipped with logs, duvets and linen, basic cooking ingredients, including tea, coffee and sugar, towels and a lantern with a candle; Cute. Whilst enjoying yurt life and country air, you can also book onto to do a local vineyard tour,cycle ride,horse riding, fishing trips or even some willow weaving. Or just stay in, drink wine and admire each other’s faces. Price: A two-night weekend escape is around £280, whilst a two-night weekday break is closer to £155. You can peruse all the options at your own leisure by clicking this magic button. Price: Babes, you’re gonna have to email or ring prices, as they ain’t online. Firle Yurts are found within the Roundhill Campsite in East Sussex, less than two hours from London Town. If you’re looking to escape to the countryside without driving for several hours, then Roundhill could be the one for you. According to the owners, their part of Sussex has warmer temperatures, less rainfall and lower windspeed than anywhere else in the UK, as well as having more hours of sunshine. Wowo is a family run campsite with several handmade Yurts to enjoy whilst relaxing and enjoying the country air. At Wowo, they believe everyone should have the right to a campfire, welcomed throughout the park. They also hold Workshops you can sign up to, as well as a foraging walk followed by practical food and medicine making in the afternoon. Price: Around £190 for 4 nights in the week. However, prices vary depending on time, weekday/weekend or specific Yurt, check the website for quotes. 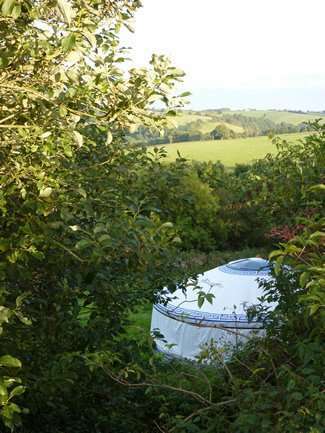 Head South West to enjoy the Calm Yurts, nestled the Dorset Countryside. Each Yurt is filled with home comforts a wrought iron double bed, two Victorian day beds, fresh crisp linen, lighting, electricity supply, storage, a small kitchenette for your morning tea and the piece de la resistance a beautiful wood burner. If you’re stuck for dinner ideas you can hire an outdoor pizza oven for the evening for £25, which will get you said oven and all the accessories you may require. Price: Prices start at £195 off peak, or a whole week at £495 during peak season. Everyone loves Devon, so why not spend your weekend exploring the area whilst camping in a fancy pants Yurt? Summerhill is set on a small farm and offers some amazing stargazing opportunities. Romantic. If you can’t be arsed to get food on your way down, you can order a ‘Hampers for campers’. Each hamper is bursting with a selection of delish essentials, including a mix of milk, bread, fruit juice, eggs, meat and veg, conserves and more. In addition, you get a chilled bottle of wine or some local real ale, yaaasss! 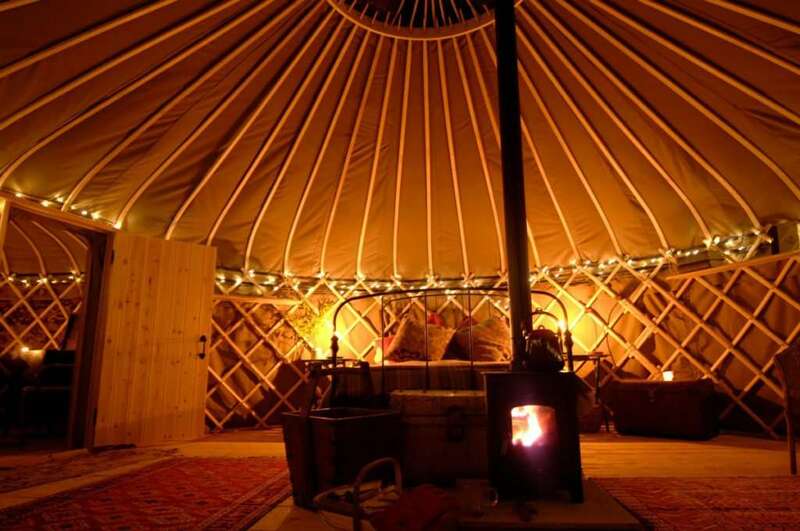 Price: From £450 for 4 nights, depending on dates and selected yurt. 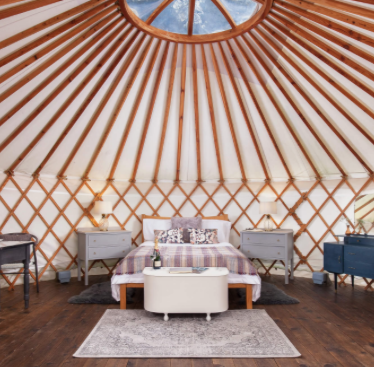 Book into one of three beautiful luxury yurts set in the heart of Cornwall. Run by a family who packed in their day jobs back in 2008, these Yurts can be found on the edge of Bodmin Moor and just a short distance from the north and south coast beaches. Inside each yurt, you’ll find a king sized bed, two futons, a wood burning stove and plenty of storage space. These guys are so committed to reducing the impact on the environment that if you arrive by public transport they will give you a 10% reduction in the cost of your holiday and collect you from the local station. For the win. 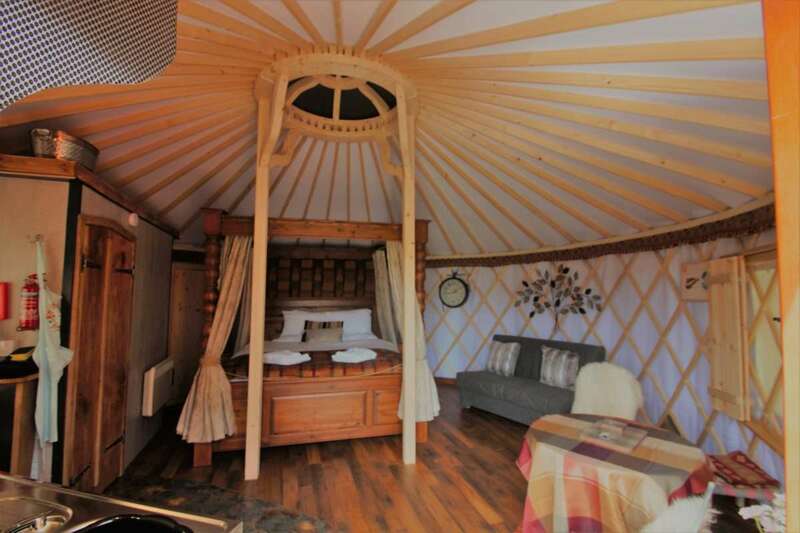 The yurts at The Yurt Retreat offer total luxury and are adult only. Perfect if you have no children and don’t want to see any. 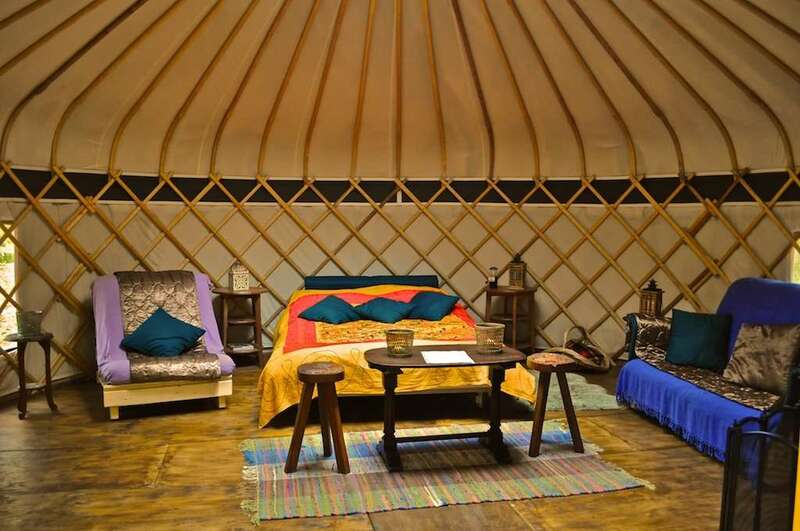 There are three yurts to choose from, all of which sleep two, including a double bed and a wood burner. In addition, each Yurt has it’s own private decking looking out into the views of the countryside, as well as a private bathroom. The yurts are also equipped with tea and coffee making facilities, hairdryer, bedside lamps and, outside, your own BBQ. You’ll find the Yurts of Wall Eden on an ex-dairy farm on the edge of the beautiful Somerset Levels. There are eight luxury log cabins to choose from, offering a special break for groups, families or couples. There’s a Sauna and a Hot Tub available for 6 per person for the duration of your stay or hit up The Pamper Pod which offers luxury massages and holistic therapies from their on-site treatment room. 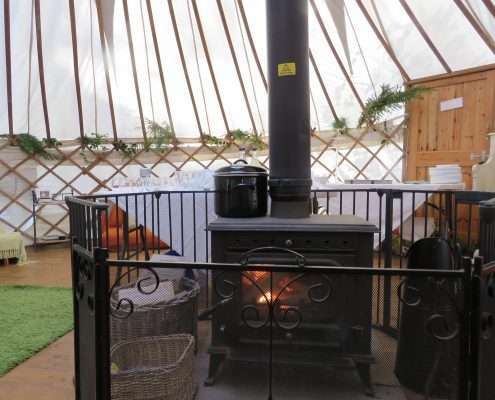 Send us your pictures if you head in deep to any of these fabulous Yurt’s.